What is Lowdown Spirit about? Well for me personally, it is just a place for me to post everything I like about the Japanese modified car culture in one place. A lot of the stuff you will see on this page will be reposted from elsewhere, I’m not trying anything revolutionary here, just to make a place that I and hopefully others can gain inspiration from. In this blog you will from time to time see some Japanese terms used to describe certain cars, below is a brief glossary as to what I mean when I use these terms. Bosozoku – Traditionally used to describe Japanese motorcycle gangs, it’s literal translation is ‘violent running tribe’. The Bosozoku are known for their outlandish appearance and anti-social behaviour. Their bikes are heavily modified and are usually run with minimal or no exhaust silencing, allowing maximum noise when ridden. The Bosozoku style has been transferred into cars more recently, these are also run with crazy modifications to the exterior, garish paint and massive exhausts, again with little silencing. 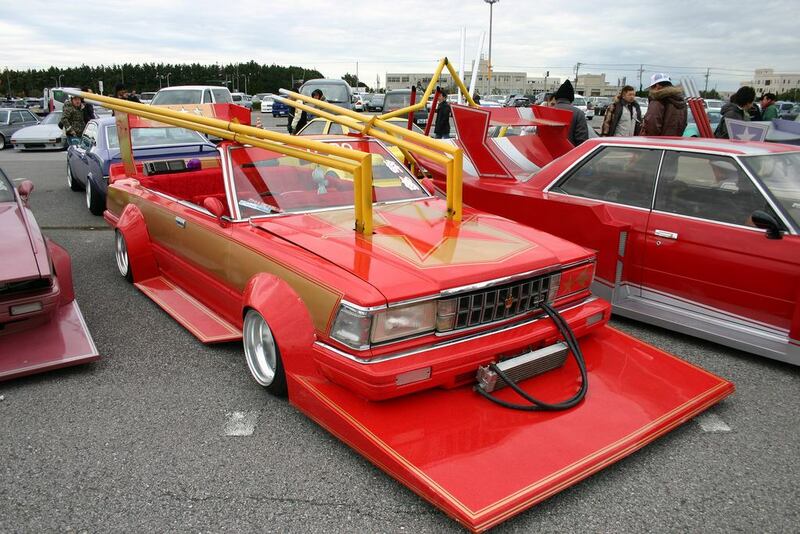 Garuchan – Very similar to the Bosozoku cars, these cars are similar in appearance but with their owners preferring to distance themselves from the anti-social image of the Bosozoku. These cars are inspired by the Japanese Super-Silhouette racing cars of the 1980’s with oversized spoilers and wings being the order of the day. Kyusha-kai – Simply translated as Japanese Classic Car (Kyusha) group (Kai). These are the enthusiasts if you like of the Japanese car scene. Preferring to keep their cars stock or with simple period modifications the Kyusha-kai span all corners of the Japanese Classic Car spectrum. 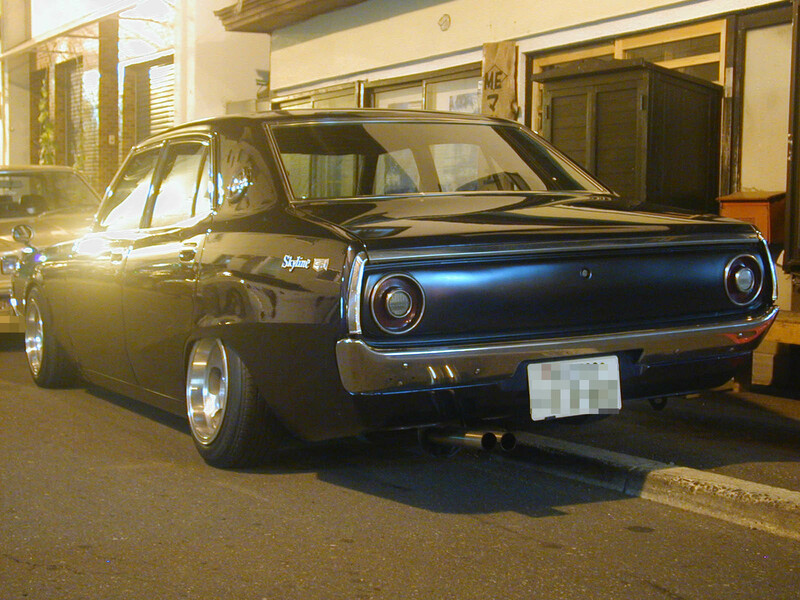 Shakotan – Sometimes mistaken, or grouped in with Bosozoku and Garuchan cars, Shakotan cars have some similar design cues but are far more subtle in appearance. Translated as ‘short ground clearance cars’ and occasionally referred to as ‘height reduction vehicles’ being as close to the tarmac as possible is obviously very important to the average Shakotan owner. Styling-wise things are kept simple, with classic wheels and minimal body modifications required. Sliders – Probably better known as street drifters, Slide Teams spend their times in the Mountains of Japan tackling the touge (mountain roads) as fast as possible. The object is to take the corners without losing much speed, requiring the driver to take the bends at insane angles with extreme precision. Roads are often blocked by other members of the teams and runs are normally done in tandems. Slide cars are usually quite battered due to their hard use and temporary and innovative fixes are not uncommon sights. This entry was posted in Lowdown Spirit and tagged Bosozoku, Drifting, Garuchan, Kyusha-kai, Shakotan, Sliders. Bookmark the permalink.